For people with orthorexia, eating healthily has become an extreme, obsessive, psychologically limiting and sometimes physically dangerous disorder, related to but quite distinct from anorexia. Essentially orthorexia is an unhealthy obsession with eating healthy. There are a lot of parallels with anorexia, which is an unhealthy obsession with weight control. As Bratman himself points out, and I want to emphasize – there is a spectrum from a healthy concern with eating a healthful diet at one end to a harmful or even delusional obsession with a restrictive diet at the other. This is also not an attack on veganism or vegetarianism, which are a combination of health and ethical considerations. There is also the belief that both orthorexia and anorexia are partly driven by the media, which means that there is a large cultural element to these disorders. There is a lot of overlap between orthorexia and anorexia, and in some cases anorexics follow “clean eating” as a socially acceptable means to achieving weight loss. In practice “clean eating” tends to be avoiding whatever food is the latest boogeyman in the pseudoscientific diet-advice industry. Today this often includes eating organic, avoiding GMOs, avoiding gluten, avoiding perceived “chemicals,” eating “natural” which can mean many things but often means avoiding processed foods and food additives, and sometimes eating raw foods. It is important to emphasize that none of these food beliefs are science based. After 50 years of research there is no evidence for any health benefit to eating organic. After 20 years of research there is no evidence of any health risk to any currently available GMO foods. About one percent of the population has true gluten sensitivity, called celiac disease. For everyone else there is no current consensus that gluten causes any problems. This story is more complicated, though, as there are also wheat allergies, and some people with irritable bowel syndrome (IBS) are sensitive to FODMAPs, which are in many of the same foods as gluten. Avoiding “toxins” includes a large category of claims, but essentially misses the point that the dose makes the toxin. Sure, there are toxins everywhere – substances that in high enough dose will cause adverse health effects. Water is a toxin if drunk in sufficient quantities. The important question is, what is the dose? It is easy to scare people, however, with the notion that there are toxins in their food or water, without putting that information into its proper context. Closely related to this is the avoidance of “chemicals.” This is a particularly naive position, as everything is a chemical. Water is a chemical (H2O). 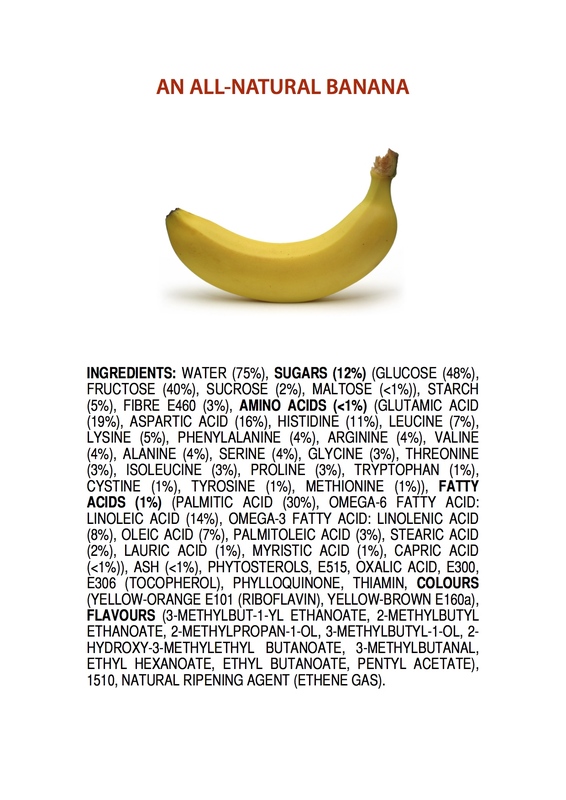 You can give even common substance a long technical chemical name and make it sound scary, giving rise to popular memes in which the contents of a banana or blueberry are listed in scary chemical names. 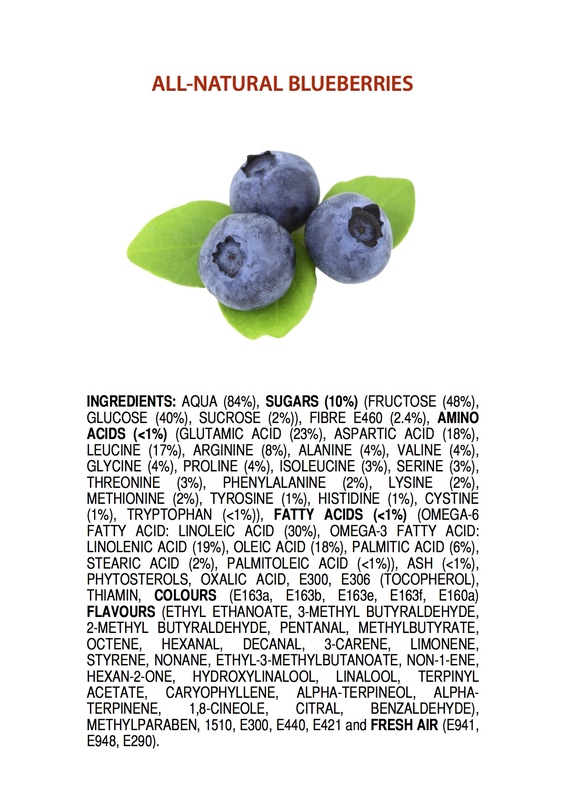 In order to avoid “Food Babe” level ignorance on this issue (“if you can’t pronounce it, you shouldn’t eat it”), some have made the distinction between natural and synthetic chemicals. This is a false dichotomy, however. How much processing or change to a naturally occurring chemical makes it synthetic? Also, there is no reason to suspect that chemicals which happen to occur in nature have any greater tendency to be healthful than synthetic chemicals. This is just another manifestation of the appeal to nature fallacy. There are legitimate reasons to be concerned about eating too much processed food, as it tends to contain lots of sugar, fat, and/or salt. This has to do more with trends in the food industry, rather than anything inherent to processing foods rather than eating foods prepared from scratch. This is where reading labels can be helpful, and there also needs to be pressure on the food industry to provide more transparency and healthful options. But avoiding processed foods is no guarantee of healthy eating either, as there are many unprocessed sources of excess fat, sugar, and salt. Eating raw is nothing but pure nonsense. Cooking changes food, mostly for the better, making certain nutrients more accessible and digestion easier. Some types of cooking, or overcooking, (such as boiling vegetables) can remove nutrients from certain foods, but it is not necessary to eat raw in order to get adequate nutrition (and of course, microwaves are no better or worse than any other source of heat). Raw eating often involves pure pseudoscience, such as the claim that it is better to eat food that is alive, and cooking kills food. Stomach acids also kill food, by the way. Raw claims vary from the pseudoscientific to the mystical, with claims about the essence of food. If clean eating is not based on scientific evidence, on what is it based? I am not going to discuss the alleged mental illness end of the spectrum as that notion is still evolving and has not yet reached consensus. Rather I am going to make observations about the broader cultural trends, partly from the perspective of a physician. Clean eating, it seems, is partly an obsession with purity. This is closely tied to the emotion of disgust, which evolved to motivate us to avoid potentially dangerous food or water and to avoid infectious disease and actual toxins. This protective emotion can become unhinged, however. The desire for purity combines with two other psychological phenomenon, especially in industrialized nations. Some experts believe we are also overly obsessed with hygiene, even to the point that it may be impairing our immune systems which are not getting the regular workout they need for optimal function. We live in a sanitary, even sterilized environment. Obviously there are situations where this is necessary, such as in hospitals. As a result, however, we tend to feel (ironically) separated from nature, in that we feel disgust at the notion that we are fully part of messy nature. We are literally surrounded by a cloud of bacteria. There are (roughly) as many bacterial cells as human cells in your body, not counting fungi and viruses. There are parasites living on our skin. We are messy biology. We are just meat that thinks. We live with the persistent delusion, however, that we are somehow more than meat. Additionally there is a tendency to believe that existing in the natural state of every person would mean their body functions perfectly. In reality the human body is a kluge, a series of evolutionary compromises that functions well enough to breed, and exists in a constant state of decay, barely staving off entropy for seven or eight decades until finally succumbing to the inevitable. Don’t get me wrong, the human body is also a marvel of evolutionary complexity. Biology is subtle and powerful. But it is also messy and imperfect. Everything that can go wrong, does (in someone). I think most people intellectually know this, but just don’t want it to be true. When we do develop some symptom or dysfunction, there is a tendency to assume that the problem is being caused by something outside of our bodies, rather than a defect in our body itself. We are being infected or poisoned, and if we can just identify and remove the foreign threat, our body will return to its natural state of perfection. In fact, this is the overt philosophy of many alternative medicine practices. Straight chiropractors, for example, preach the belief that our bodies will be perfectly healthy, as long as the life-force is allowed to flow. Clean eating goes along with this psychology – all you have to do to be healthy is avoid “bad” food. Of course “bad” is a moving target, one that follows trends more like the fashion industry than anything scientific. I again want to emphasize that I am not being judgmental here, just describing a psychological tendency that can lead to behavior that accomplishes the opposite of what it intends – health. The emotions I describe are normal and ubiquitous. It is also perfectly reasonable to be concerned with what you eat, to read labels, and to strive to have a healthful diet. What I feel is mostly happening is that self-made gurus are exploiting these normal and healthy emotions essentially for self-promotion. They turn reasonable concerns into fears and obsessions. They spread misinformation authoritatively, or create echochambers in which fears of toxins and chemicals become unhinged. There is an industry of clean eating that is not science-based or healthy, but it is highly marketable.